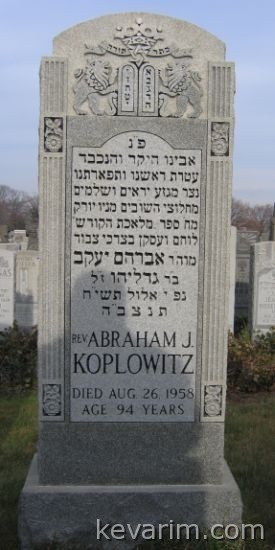 Rav Koplowitz worked endlessly to help improve the standards of kashrus (ritual slaughter) in the United States. Was he indeed a Rav, I know he was the Rosh Hashochtim (Head of ritual slaughters union) and faught hard for Kashrus of the Meat under Rabbi Hillel Klien. My brother has his sefer and YES he was indeed a Rav. I believe he got his smicha from the Netziv. I was told that he was specially brought over from Volozhin to be a shochet and deal with the shechita in NY in his day.